Any transition period for moving small employers onto the apprenticeship service should only last until March 2020 to avoid another “unnecessary procurement exercise”, the Association of Employment and Learning Providers has said. It’s one of a number of proposals the AELP has put forward for the non-levy transition period and creating a sustainable apprenticeship system, announced today. Other recommendations include a more streamlined apprenticeship service, designed to work for smaller employers, a more robust register of apprenticeship training providers, and a guaranteed £1 billion in funding for small employers. 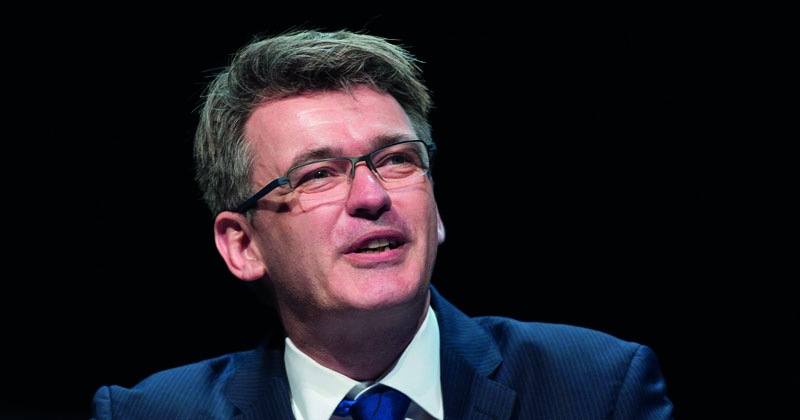 “There may be levy funds unspent now, but the demand for higher and degree level apprenticeships among levy paying employers points to the bulk of the levy soon being used up,” said Mark Dawe, AELP chief executive (pictured above)AELP . Small employers had been due to start using the apprenticeship service to access apprenticeship funding from April 2019, but last month the Education and Skills Funding Agency announced this would be delayed and it would instead extend existing contracts for a further year. A week later it launched a survey asking for feedback on what any transition period might look like, which could include apprenticeships with non-levy employers being funded through contracts and directly through the service for a period of time. The AELP proposed that this ‘dual running’ period should run for a year, from April 2019 to March 2020, when the current non-levy contracts run out. As a result there would be “no need for a further unnecessary procurement exercise”. This approach would be subject to the apprenticeship service being “modified and streamlined to support the wide breadth of needs and requirements for smaller employers”. The current set-up for levy-paying employers is “particularly arduous” and “time-consuming”, and would create a “sizeable barrier” for smaller employers that would lead them to “reject the opportunity to invest in apprenticeships”, the AELP warned. It also said the ESFA’s register needed to be more “robust” if it was to become the gateway for providers to have direct access to funding, and proposed a number of ways in which it could be strengthened. These included taking into consideration a provider’s previous delivery, and to “thoroughly test the competency and capacity of new providers”. The AELP also reiterated its previous demand for a guaranteed £1 billion for non-levy payers, to ensure that funding for smaller employers isn’t limited as demand by levy-paying employers increases. It warned that a system that culminates in a “stop-go approach” in which “demand of funding outstrips supply and a hard close is required” must be avoided at all costs. “Any such system would have a catastrophic impact on providers’ ability to manage cash flow and staffing resource,” it said.